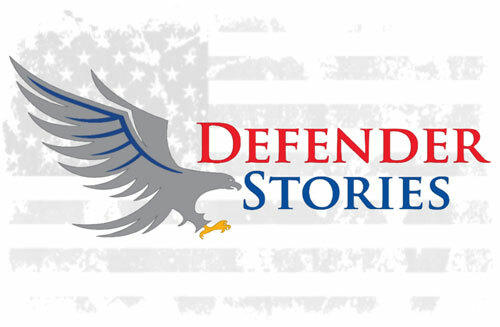 The purpose of the Defender stories Podcast is to honor and share the amazing stories of our nations every day defenders (Military/Police/Fire) and their families, while obtaining a better understanding of what they do and why they pay such a hefty price. In addition to sharing their stories, we strive to create better Post Traumatic Stress Disorder (PTSD) understanding and support, be a conduit for others to find help and healing, and help others to understand the sacrifice and dedication it takes to serve as a defender. Our mission of Freedom Calls is to build a communications network independent of military networks employing state of the art Wi-Fi, VOIP telephony, Video Conferencing and Satcom technology to enable our troops to communicate free of charge from their base camps with their families at home by internet telephone, instant messaging and video conference. Your generous contributions to the Freedom Calls Foundation serve to ease the burden of thousands of our brave soldiers and their families in their effort to protect our country and rebuild Iraq and Afghanistan. The Wounded Warrior Project seeks to assist those men and women of our armed forces who have been severely injured during the conflicts in Iraq, Afghanistan, and other hot spots around the world. The Wounded Warrior Project was founded to give a voice to this new generation of veterans facing unique issues and problems. The Project fills the vital need for a coordinated, united effort to enable wounded veterans to aid and assist each other and to readjust to civilian life. Deployment Health Clinical Center consists of highly trained and compassionate healthcare professionals dedicated to serving the healthcare needs of our veterans and active duty military men and women. The Center core mission is to improve deployment health care by providing caring assistance and advocacy for military personnel and families with post deployment health concerns while simultaneously serving as a catalyst and resource for the continuous improvement of deployment health care across the Military Health System (MHS). Gift from Within is a non-profit organization dedicated to those who suffer post-traumatic stress disorder (PTSD), those at risk for PTSD, and those who care for traumatized individuals. We develop and disseminate educational material, including videotapes, articles, books, and other resources through our website. A roster of survivors who are willing to participate in an international network of peer support is maintained. Our organization is designated by the Internal Revenue Service as 501(c)(3) public charity, eligible to receive tax-exempt grants, gifts, and donations. Hadit is a wonderful place to search for answers for your VA Claims or to help other Veterans with their Claims. Join the "Forum" to communicate with other veterans and family members. The Iraq War Veterans Organization was created to organize and represent Operation Iraqi Freedom veterans. Welcome Home "Operation Iraqi Freedom Veterans"..!!! Peaceful Living - War Healing Ministries. Blog posts and many resources for veterans and their families. Susan Avila-Smith established the "Women Organizing Women" WOW group in 1997, beginning with monthly meetings at the Seattle VAMC, and later adding American Lake. This forum was used to provide advocacy and network vital information regarding services and benefits to women veterans and their providers. Surviving Deployment specializes in helping military families create a positive experience out of a challenging deployment situation.